Chef Samuel le Torriellec has created an exquisite menu to mark this special day, available exclusively on February 14th for dinner. The intimate atmosphere of L'Atelier creates the perfect stage for your special evening. 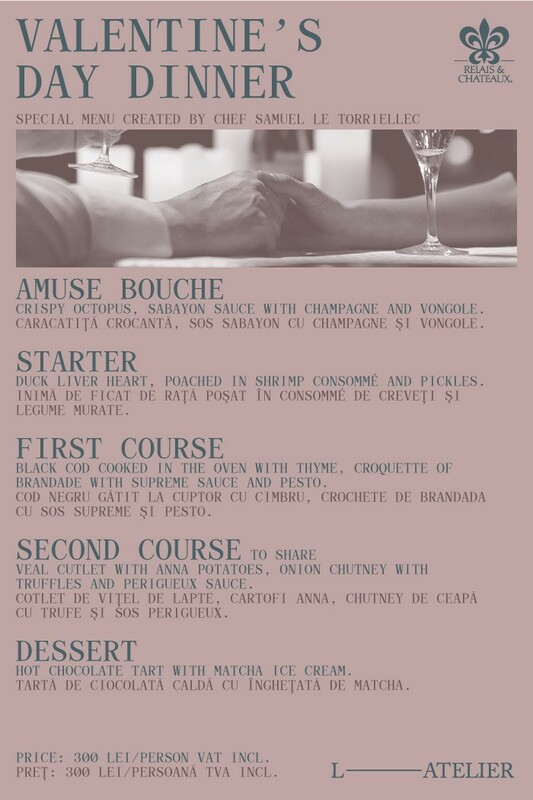 Celebrate Valentine′s Day in elegant setting and treat your loved one to the delightful creations prepared by Executive Chef Samuel le Torriellec.